If anyone has the appropriate mix of expertise and sensitivity to write a children’s book about grief, specifically grief over the loss of a parent, it’s probably Carol Weston. Not only is Weston the author of 16 popular books for children, including titles like GIRLTALK: ALL THE STUFF YOUR SISTER NEVER TOLD YOU and the fun-loving AVA AND PIP, she’s also a longtime advice columnist for Girl’s Life magazine, where she answers emails and letters from girls across America about everything from what it’s like to have your first crush to why your best friend doesn’t like you anymore. “I’ve gotten so many letters from girls saying, ‘my mom died’ or ‘my dad died and I’m still not over it’, and I’d written so many heartfelt replies that are kind of like hugs,” says Weston in a call from her family home in Armonk, New York. 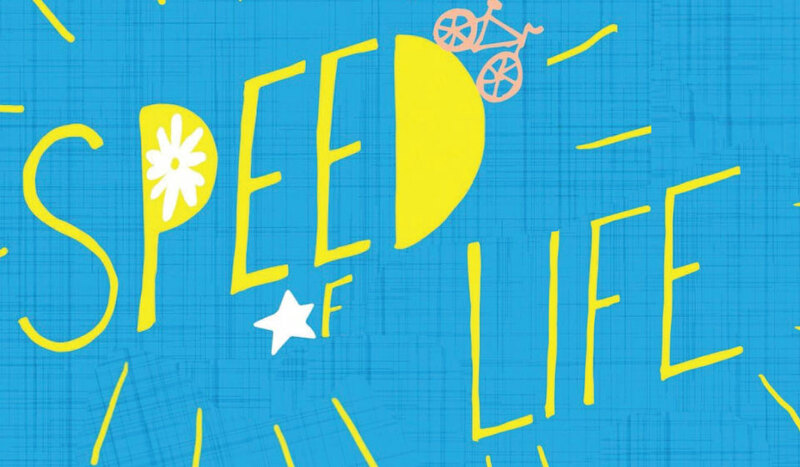 “I wanted to write a book that would help.” Weston’s new children’s novel, SPEED OF LIFE, does just that. SPEED OF LIFE tells the story of 14-year-old Sofia, who’s recently lost her mother to a sudden, unexpected aneurysm. The book takes place eight months after Sofia’s mother’s death, and Sofia’s friends think she should move on. Her father certainly seems to have moved on -- he’s dating none other than a girl’s advice columnist, whom Sofia happens to regularly email for counsel. But Sofia still misses her mother. In a critical point of her adolescence, the one woman she needs most is gone. While Weston herself didn’t lose a parent in childhood, her father did pass away from an unexpected heart attack when she was only 25-years-old, so she’s familiar with the depth of grief. “I woke up having a dad, picked up the telephone, and found out he was dead,” she says. “It was a life-changing moment.” Twenty-five years later, Weston found herself crying at the keyboard as she wrote about the fictional death of Sofia’s mother. Carol explains her own abiding grief in the same words she writes to grieving girls asking for advice. “You’re not really going to get over it,” she says. “You’re going to move on. You’re going to accept it, find your strength, but you’re not going to get over that kind of loss.” This is the truth Sofia learns in SPEED OF LIFE. But while Weston doesn’t hold back when it comes to the agony of grief, she also takes a light touch with what could easily become a morose book. There’s loss and pain for sure, but there’s also a cute boy and a first kiss. “I really wanted the book to have a sense of humor, be fun to read,” says Carol. “Grief is a part of life, but I didn’t want this to be a downer of a book. It’s ultimately uplifting.” Indeed, by the end of the book Sofia still misses her mother, but she ends up in a better place.“If you’re grieving, it’s because you have a great big heart and because you lost someone you love,” says Carol. “It’s devastating because you had the good fortune of having an extraordinary and strong relationship. If you’re lucky enough to have that kind of bond then you still have it.” This is how Weston feels about the loss of her own father, and it’s what she tells the girls who read her advice column and her books.